I was one of those kids in grade school who, while all my classmates were getting called 'four-eyes' and suffering through orthodontia pain, actually wanted to have glasses and braces. Perhaps it was because I knew I was a true nerd at heart, or perhaps I just liked the idea of looking smart, but I eventually got my wish - in spades. The braces I had for five long years, all the way through my first year at university (*ugh*), and my vision has gotten progressively worse, making day-to-day functioning without glasses an impossibility. 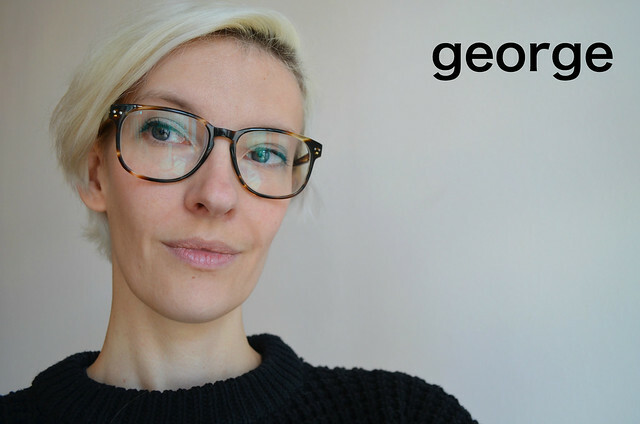 My overly-sensitive eyes are grateful that glasses are still trending in a big way and that marketplace for affordable frames is growing larger all the time. Like Warby Parker and Jimmy Fairly before it, Ace & Tate is the newest kid on the block selling on-trend, affordable frames and donating to those in need with each pair sold. Based out of Amsterdam, this eyewear is available in Netherlands, Germany and UK. Similar to Warby, it offers home try-ons free of charge and a few locations at which to try on a sampling of frames in person. 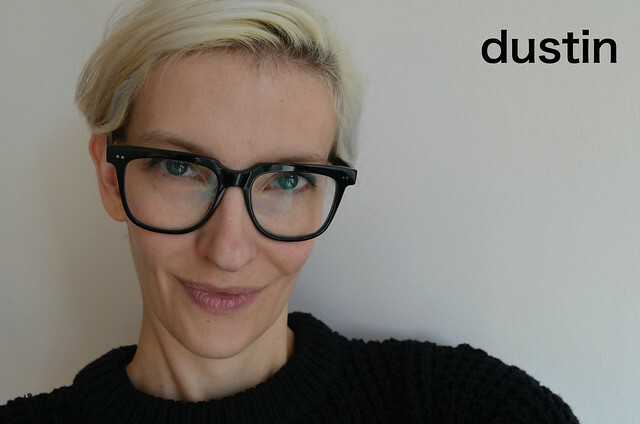 What particularly attracted me to the company was its positioning, not just as affordable eyewear, but as a stylish brand that understands that us fashion-loving folk enjoy changing up our glasses as much as our shoes or bags. Finally, a company that gets it! After my last attempt at getting Warby frames over here - via my mom in the US - which was a shipping (looked as though they had run over the package, repeatedly) and customs nightmare (interrogated me, made me wait an hour, then charged me an arm and a leg), I realized I should try to find affordable frames offered in my own country. Since I hadn't bought a new pair of glasses myself for a year and half, I figured it might be time to start looking again. So I began with Ace & Tate. 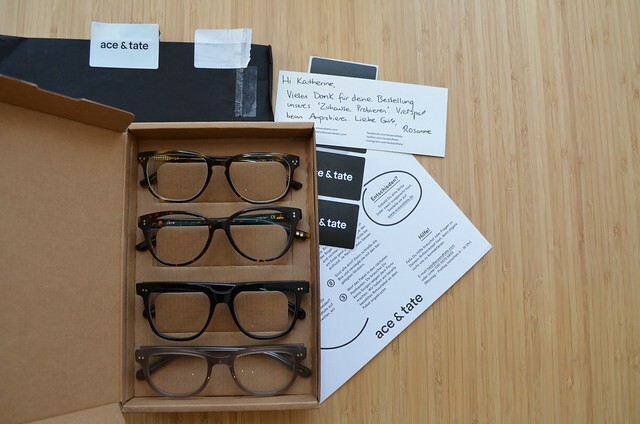 Since my visit to the Voo Store, which stocks some of Ace & Tate frames to try-on, left me wanting to see more colors and styles in the light of day, I placed my order for a home-try on box. There's just something about being able to stare critically at yourself in the mirror (or in my case, having to take selfie after selfie because my vision is so poor, I can't actually see myself in the mirror without my glasses on) without a store-full of people watching you. 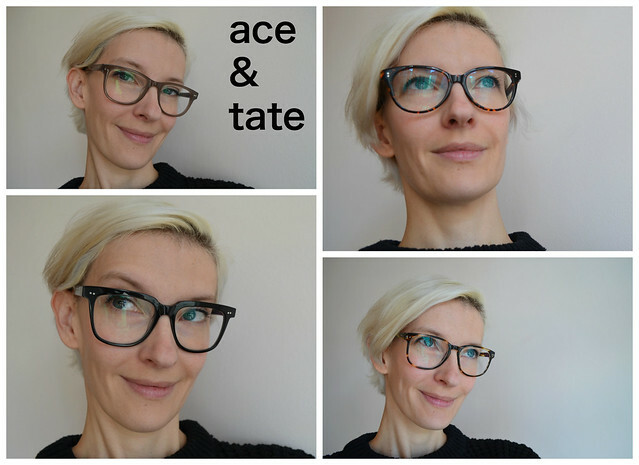 Needless to say, having five days to try out frames in one's daily life is ideal, and thankfully, Ace & Tate lets you do just that. I placed my order - free, with a credit card hold - and five business days later, they arrived. The slim, paper-covered package felt special, but I realized the brilliance of it when I unwrapped it to uncover the pre-posted return label on the box underneath. All I had to do after my five-day trial was simply seal it up and drop it off in a mailbox. Easy-peasy. Furthermore, when I opened the box, I was seriously impressed with quality of the frames. Designed in its Amsterdam studio, frames hand-crafted at a family-run factory in northern Italy (save a few of the sunglasses styles, which are made in China) and lenses custom cut in a Dutch lab, these are a Europhile's dream. These felt surprisingly sturdy and well-made for such affordable frames. Getting to live in these for a couple of days is eye-opening. 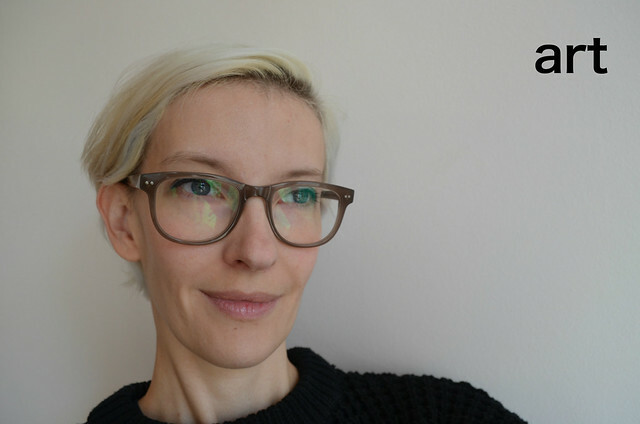 The Art frames in greyhound grey were at the top of my list, but after trying them on, they felt a little uninspiring and falling too on the taupe side of grey for me. The George was a very nice shape and color, but similarly did not wow me. 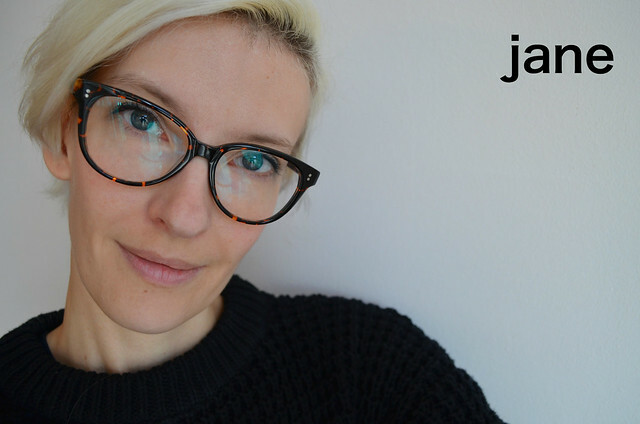 The more feminine Jane frame, which isn't my usual style, was surprisingly flattering, though the color available for home try-on was not the one I would choose. The Dustin in bio black felt like another possible winner, bold and black to match most of my current sartorial choices. With this experience surprising as it was, I might just order another home-try to see if there are more styles that might be just what I am looking for. 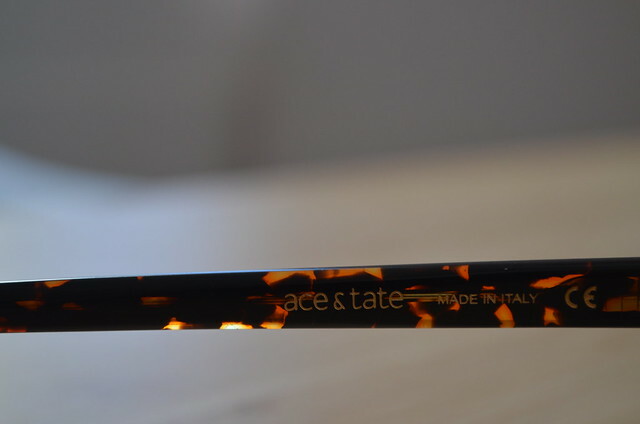 While I may wait to try on some Warby Parkers while I'm in the States next month before making a decision on new eyeglasses, I have definite plans to purchase some sunnies from Ace & Tate. Unlike some other companies, Ace & Tate does not charge more for prescription sunglasses, nor for thinner, high-index lenses (very generous for someone with stronger vision needs, like myself), making them the most affordable prescription sunwear I've seen yet. I think I'm leaning towards the Robin or maybe the Bradock... Decisions, decisions. *Update: Ace and Tate will have a pop-up shop in Berlin until December 23 at Torsrasse 66 in Mitte. It's a great space and they've got it all for you to try on! All the opinions are my own, I have not been compensated or paid in any way. I only write about products or companies I believe in.